If you live in Owatonna or in the Owatonna area or you live across the country I can help you play better golf with custom golf clubs. There are a number of ways I can help. For golfers in the immediate area, I do many live fittings. I’m very active helping golfers with custom clubs in other ways also. 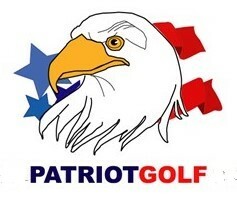 If you are interested in a custom fit set of clubs, including a live fitting please email me at patriotgolf@gmail.com and I will try to arrange something for you. I’ve been able to help those with no one to fit them improve their game so don’t hesitate to contact me even if you can not make it to Owatonna, MN. I have been selling the Wishon Sterling Single Length irons as fast as I can get them in. Production is still behind on them due to the tremendous demand. I have a set in my bag and golfers are reporting they are easier to hit and more accurate and some increased distance also. The Sterling irons are priced from $125 per club for steel shafts to $195 plus for some high end graphite shafts. What excites me about my partnership with Tom Wishon is his line has something for every golfer. Custom designs for Juniors, Ladies and Seniors and all golfers of all skill levels. The single length designs are the icing on the cake. We use email and telephone conversations to discuss the items in the form you fill out. Mostly email so I have a record to look back on as we progress. I combine the information you send me, evaluate it based on the video footage and determine what will work well for you to improve your golf game and help you hit better golf shots and score better. By observing the swing I can get a reasonable approximation of the following. Is he upright of flat? Is he slow and smooth or quick and jerky? From these deductions I can determine what will work for you. Or if you want me to I can assemble a test club for you to try before you buy you might say. Meaning if what you ordered isn’t what you may need before I assemble the whole set of clubs we can make changes for better or worse and make adjustment plus or minus on what you’ve already ordered. Then I will build the adjusted set based on the test club or clubs. If you are familiar with Pareto’s Principle – a/k/a The 80-20 Rule… you will no doubt realize that almost anyone can do the first 80% and call that a fitting. But that 80% of the fitting only corrects 20% of the golfers problems with his clubs. It’s the other 20% of the fitting that makes 80% of the improvements the golfer will get from properly fitted clubs. From the information on the fitting form I get a picture of your game, from the video I get another piece of the full picture, from our email and any phone calls we can sort out the picture and get very close to where we need to be. If you want to pay for a test club we can possible get even closer. Buying a complete set of custom fitted golf clubs is expensive. Do your due diligence and ask around, read a few good books (I recommend Tom Wishon’s “The Search for the Perfect Golf Club”) and when you are comfortable you know what you want give me a call or send me an email at patriotgolf@gmail.com, or order your clubs from my store and select the level of custom fitting you want.